Getting instant feedback during class is a great way to adjust your content and delivery to the immediate needs of your students. There are several great apps that you can use for this purpose, and GoSoapBox is one of the most useful. In addition to instant polls and quizzes, GoSoapBox also has a ‘Social Q&A’ feature, allowing your students to vote on the questions they want answered. Another useful tool is the ‘Confusion Barometer’, which shows you if your students are understanding the class. Teachers and lecturers can sign-up for GoSoapBox here. It is free for K-12 and university educators to use with up to 30 students. Paid upgrades are available for larger cohorts. 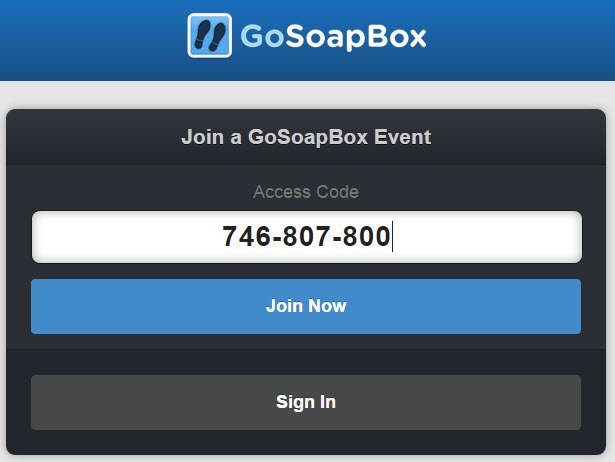 GoSoapBox is completely web-based, and your students do not need to sign-up for an account. They simply join the class session using the access code you provide. 1. 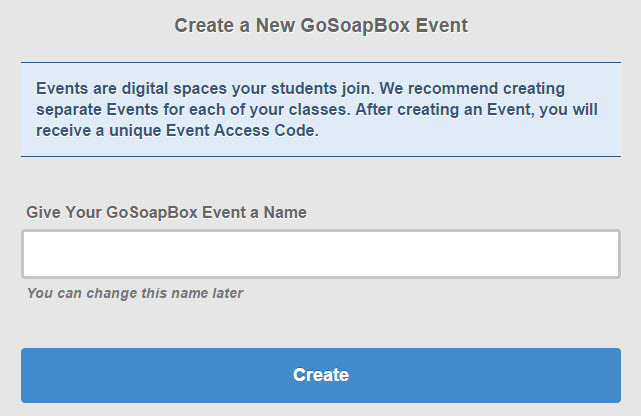 After logging into GoSoapBox, create an event using the Create button. 2. Give your event a name and click the Create button. 3. 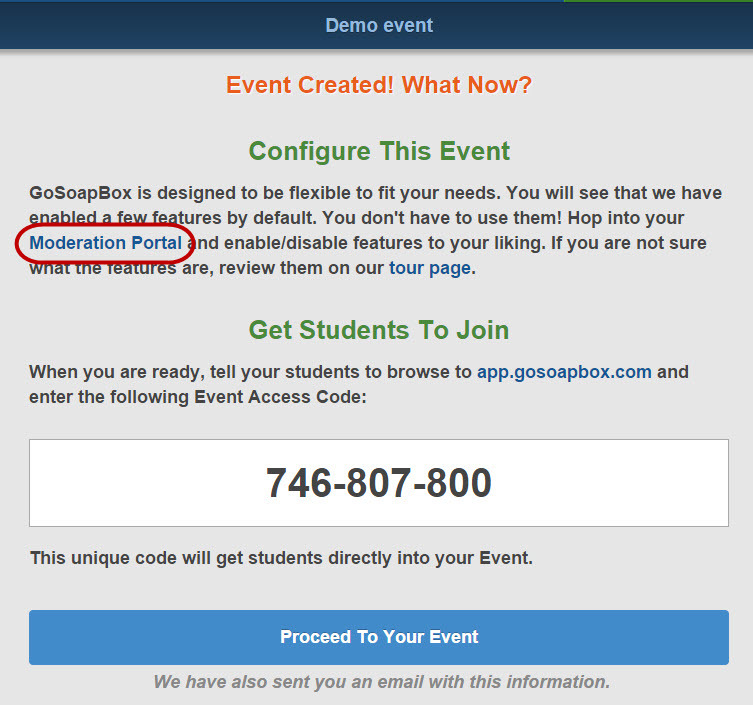 Click on the Moderation Portal link to configure the features of your event. 4. From here you can manage all elements of your event. 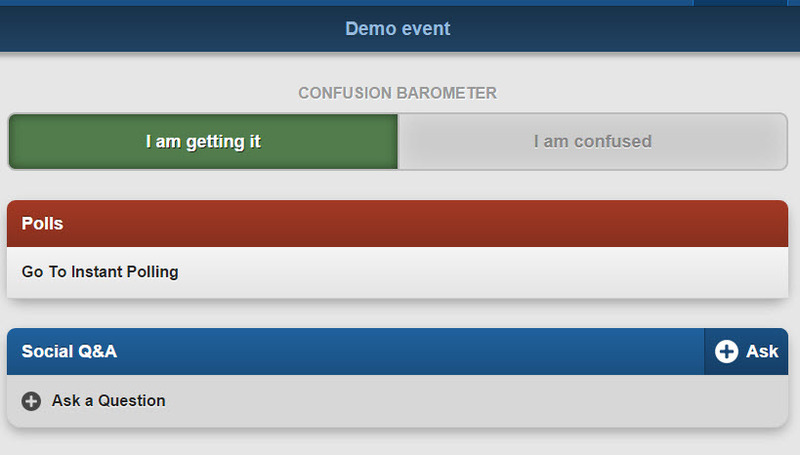 Click Enable and Disable Features to enable/disable the confusion barometer, quizzes, polls, discussion and social Q&A. 5. Once you have configured your event, click the Go Back To Moderation Panel and then Go Back To Event buttons (the buttons are at the top of the screen). 6. From the event page, you can utilise the features you have enabled. 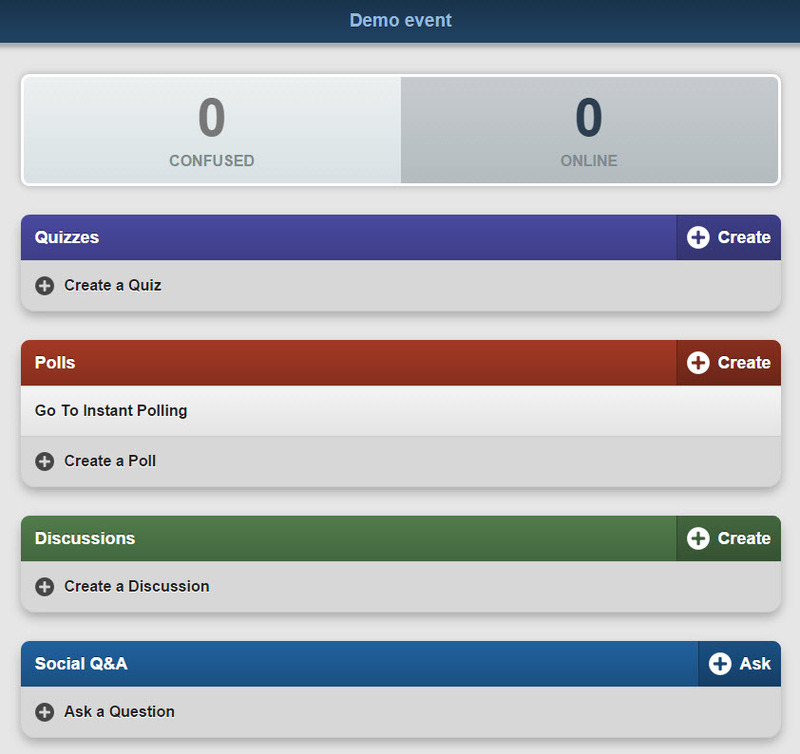 This includes viewing the confusion barometer and social Q&A, creating polls and quizzes. 7. 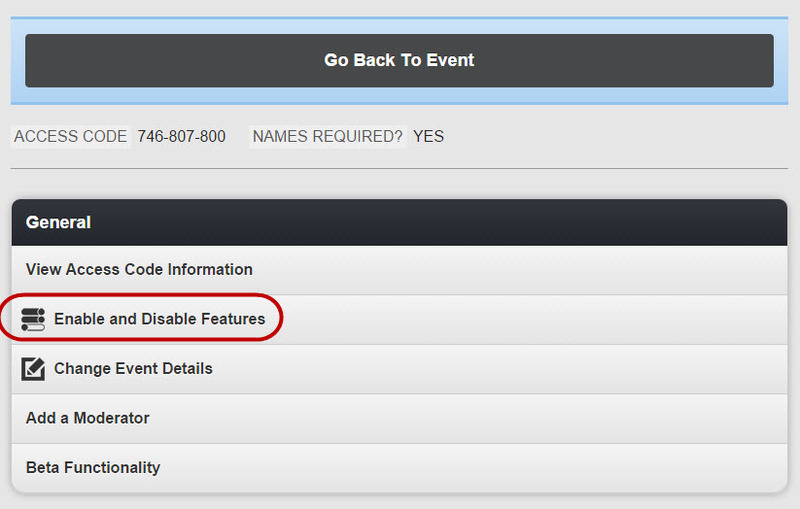 Once you’re ready to go, locate the access code at the top of the event moderation panel. Note: This will also be in the email sent to you when you created the event. 7. Your students can now access and utilise the features you have enabled.